I KNOW this is actually not the place to discuss this topic, but the other one in News & Discussion, where I actually posted it, does not allow images to be added, so I am using this thread to carry the images. 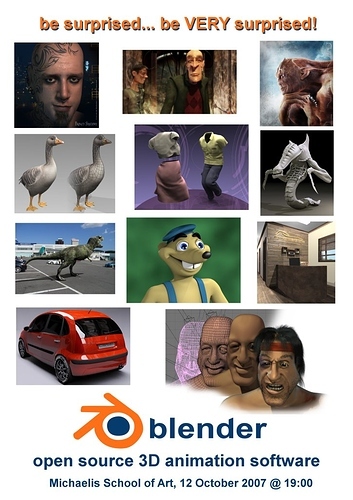 Three of us Blender fanatics are going to be doing a Blender presentation at our local monthly animation forum/club in Cape Town, South Africa on this Thursday evening (17:00 GMT = 19:00 SA time). The total duration should be about 60-80 minutes. Others? I PLEASE do not ONLY want links to good images or animations, except where they portray a Blender feature particularly well, e.g. SSS, sculpting, etc., etc. We would obviously prefer any images to be as large as possible, e.g. 1024 X 768 and any animations to be short (maybe only a snippet), but of high quality. At the same time, our Internet bandwidth here in SA is very expensive, so we can’t download too much. It would therefore be very helpful if you could paste a THUMBNAIL of any images/animations so that we can preview them before we potentially waste bandwidth. I got 12 You tube clips ( low quality ) but I got original .mov files. If you require I can upload. Youtube clips from 1-11 are pure blender work, the last clip i.e. 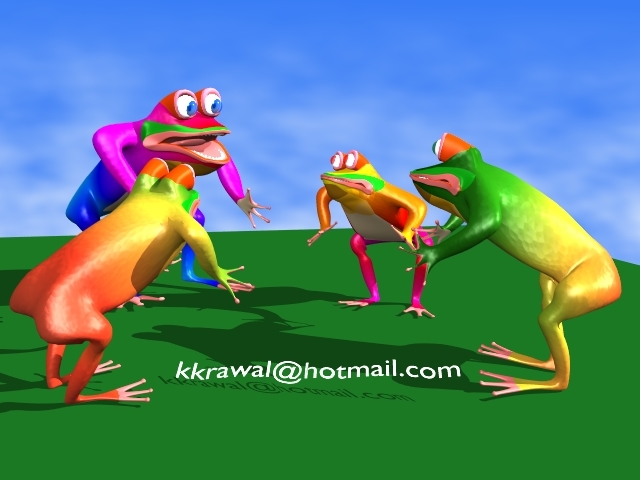 with 6 frogs i.e. 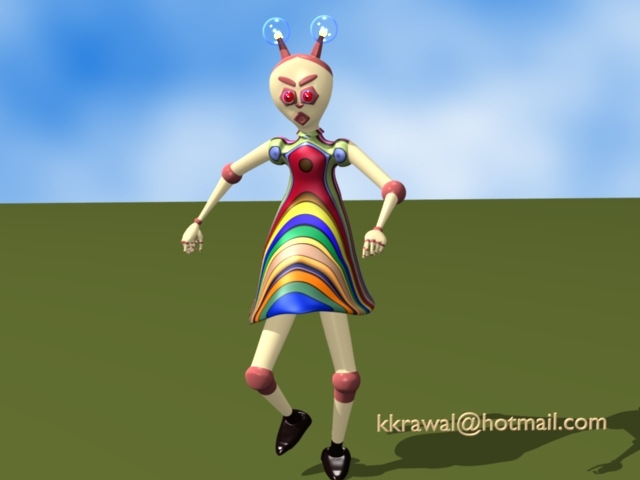 animation done in blender but models are free from one 3d model service. It is free. But it lower downs the quality. You give any size, it changes to 320x240. 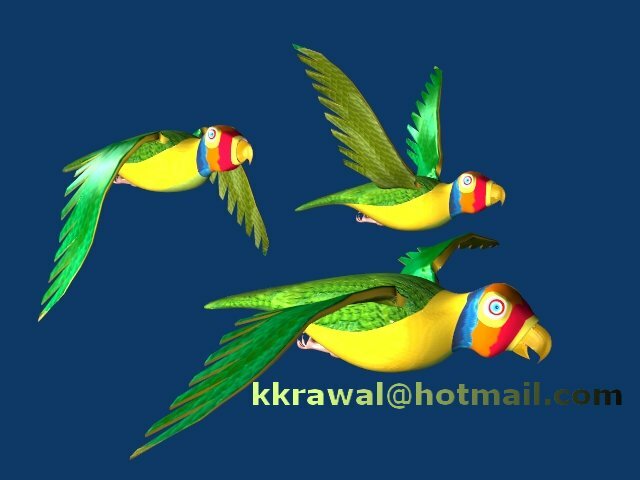 Its better to render your animation in 320x240. It reduces the size of your work. I made some clips with Blender and uploaded on youtube. Thanks kkrawel, I’ll have a look at the the your stuff. 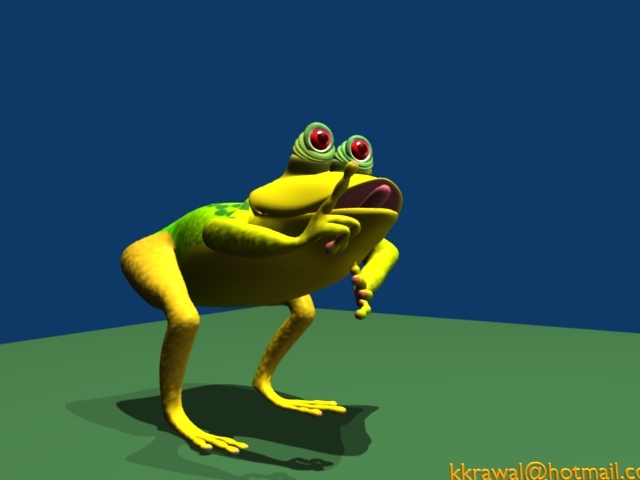 for the game engine stuff look at p00f’s new Zody the slug 2 game. Nice graphics and lots of fun!